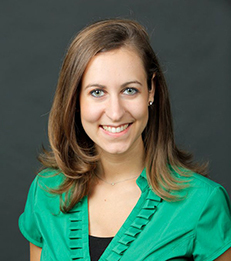 Alixandra Barasch joined New York University Stern School of Business as an Assistant Professor of Marketing in July 2016. Professor Barasch’s research examines social aspects of consumption, such as the implications of focusing on oneself versus others, judgments and inferences about others and decisions to share information or resources. One stream of her research explores prosocial behaviors that help us signal our virtue to ourselves and others. In this set of projects, Professor Barasch studies both what motivates people to perform good deeds and how we perceive the motivations of prosocial actors. A second stream of her research investigates how people decide what and when to share with others. In this line of inquiry, she investigates the social motivations and other goals underlying people’s photo-taking behaviors and transmission of information via word-of-mouth. Her research has been published in leading marketing and psychology journals such as the Journal of Consumer Research , Journal of Marketing Research and the Journal of Personality and Social Psychology. Before joining NYU Stern, Professor Barasch worked at MDRC, a non-profit organization dedicated to education policy research. She taught at the University of Macau and conducted research at the Hong Kong University of Science and Technology as a Fulbright Scholar. She received her B.S. in psychology with a minor in chemistry from Duke University. She holds a Ph.D. in Marketing from the Wharton School of the University of Pennsylvania.